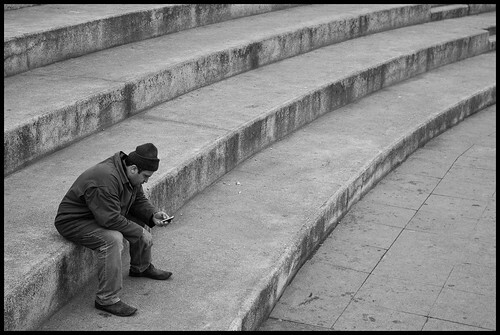 I recently submitted three photos to an online contest (in greek) about the relationship between people and technology. 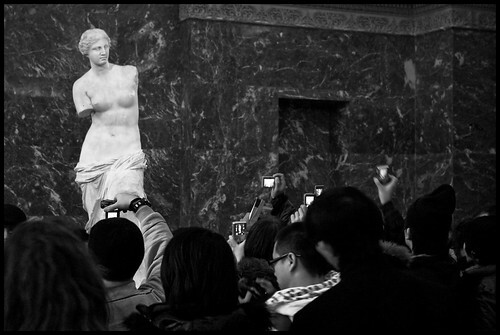 The first photo is one of my most favorite ever and it was taken during a trip to Istanbul, Turkey in March 2009. 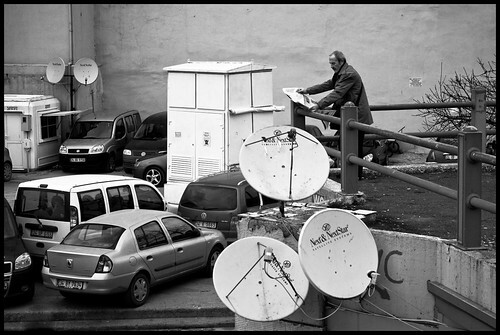 What drew my attention at the time was the contrast between the newspaper and the satellite dishes but what I see when I look at it now is another contrast; that between the "busy" left part and the calmness of the man on the right. Here are the photos I've submitted to two online contests today. ﻿The second contest was on Karl Taylor's site and the theme was cityscape.